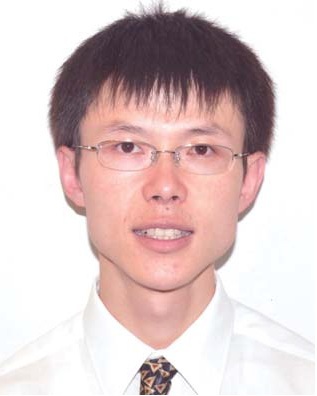 Dr. Zhe Cheng, assistant professor in the Department of Mechanical and Materials Engineering, has been awarded the 2019 Faculty Early Career Development (CAREER) Award from the National Science Foundation (NSF) for his research on functional ceramics. The CAREER Program offers the NSF’s most prestigious awards in support of junior faculty who exemplify the role of teacher-scholars through outstanding research, excellent education, and the effective integration of research and education within the context of the mission of their organizations. For his CAREER project, Dr. Cheng is focused on generating new fundamental knowledge about a very important reaction involving hydrogen gas at the negative electrode of PC-SOFCs at temperatures relevant to operation. It also aims to develop new electrode materials that could further enhance the performance and robustness of PC-SOFCs. The knowledge from this project can be leveraged to other applications such as electrochemical energy storage, chemical production, and sensors. Dr. Cheng’s award in the amount of $571,000 over five years will provide support for this research. An additional and integral part of this project is rooted on giving back to the rising generation of scientists (especially minority students) in Miami Dade County. Part of Dr. Cheng’s project focuses on promoting education in advanced ceramic materials at FIU and the broader southern Florida region through various education and outreach activities. Dr. Cheng is currently the second faculty member at FIU to receive this honor this year. Congratulations Dr. Cheng for your perseverance and insight that has led to monumental strides that will continue to impact many future generations of scientists to come!